High image-quality surveillance with day/night optical performance. Advance surveillance is possible in combination with 1/2" cameras seeking high performance. 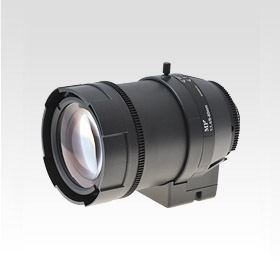 Broad range of f8mm-80mm, supporting various applications including long range surveillance. Wide Aperture of F1.6, best suited for surveillance in dark places. Advanced design engineering and high accuracy aspheric lens adopted, achieving a clear image up to the periphery.